Jarrah - Prestige Flooring in the the USA. ©2017. The species: Jarrah (Eucalyptus marginata) grows in only a small area of south western Australia, so it is a highly prized wood resource unique to Australia. Jarrah: The milling process to produce flooring flooring reveals the gorgeous colors of the red heartwood and the slightly paler sapwood. For homeowners, it provides additional desirable benefits of termite resistance, water resistance, and being a really hard, long wearing wood. 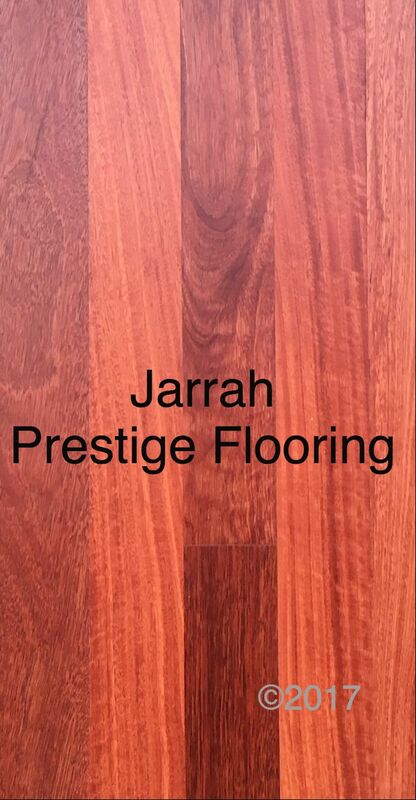 Jarrah Prestige: Due to the combination of beauty, strength, and rarity, Jarrah is prized as a prestige, high-end flooring. Sourcing: Australian Jarrah is increasingly scarce. There will come a time when it is no longer available anywhere. Ours comes from accredited Australian sources.